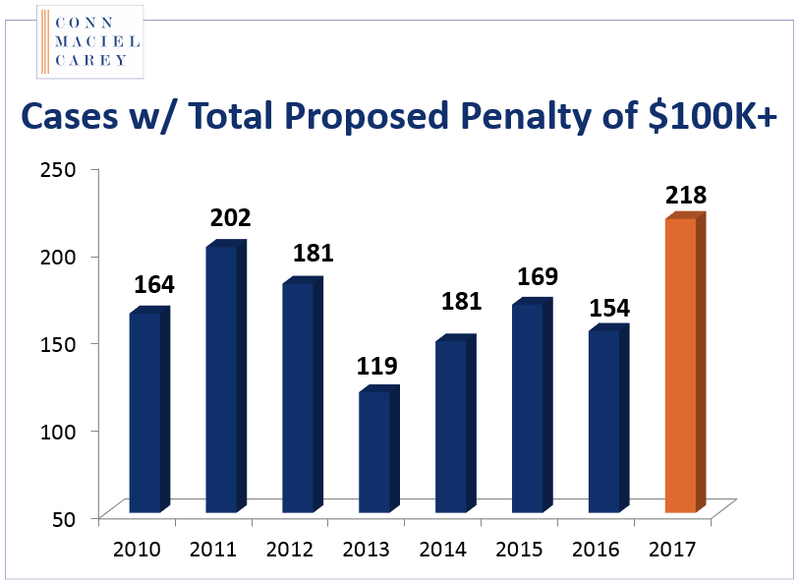 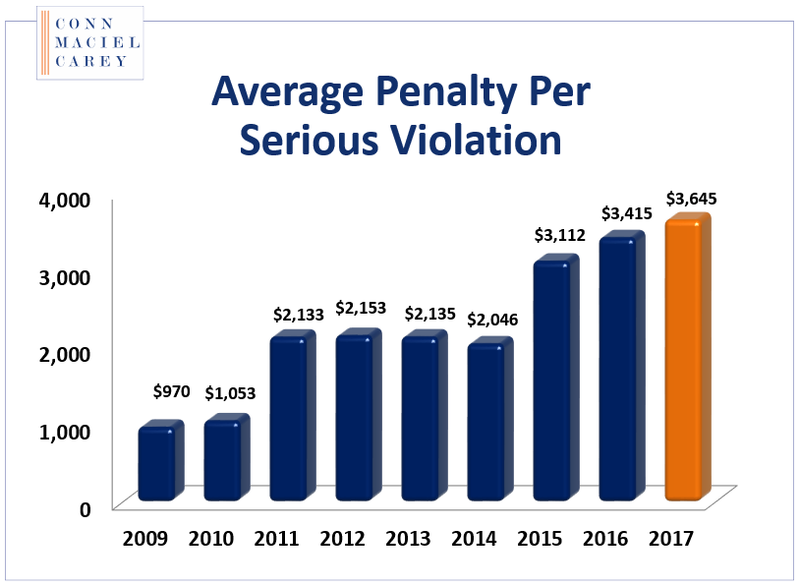 In addition to the one-time 80% “catch up” increase that went into effect on August 1, 2016, OSHA’s Interim Final Rule, the Federal Civil Penalties Inflation Adjustment Improvements Act also required the agencies to establish a process for automatic annual updates (by January 15th each year) of civil penalties to keep pace with inflation going forward. 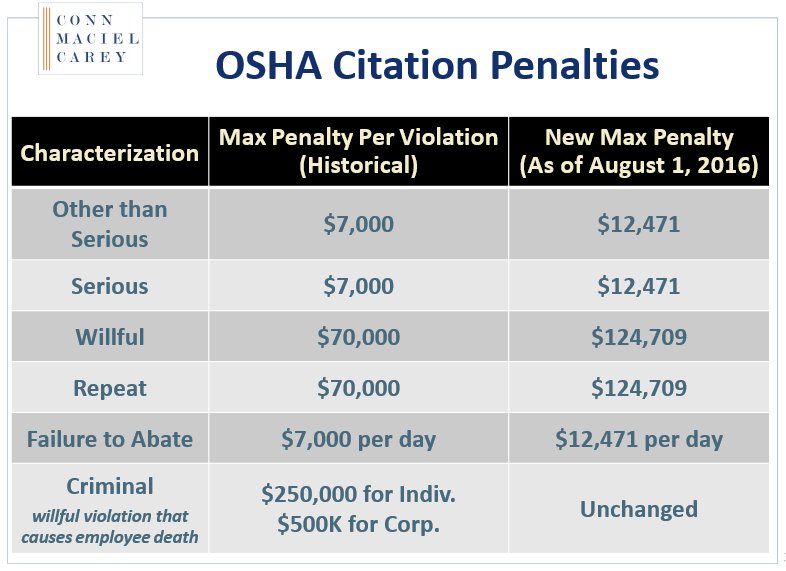 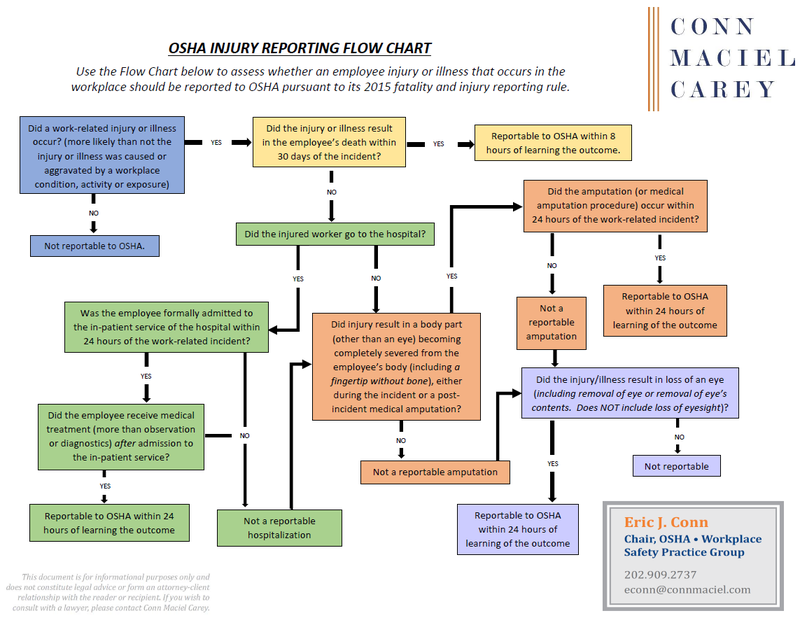 OSHA made its first automatic annual update on January 13, 2017, just prior to President Trump’s inauguration. 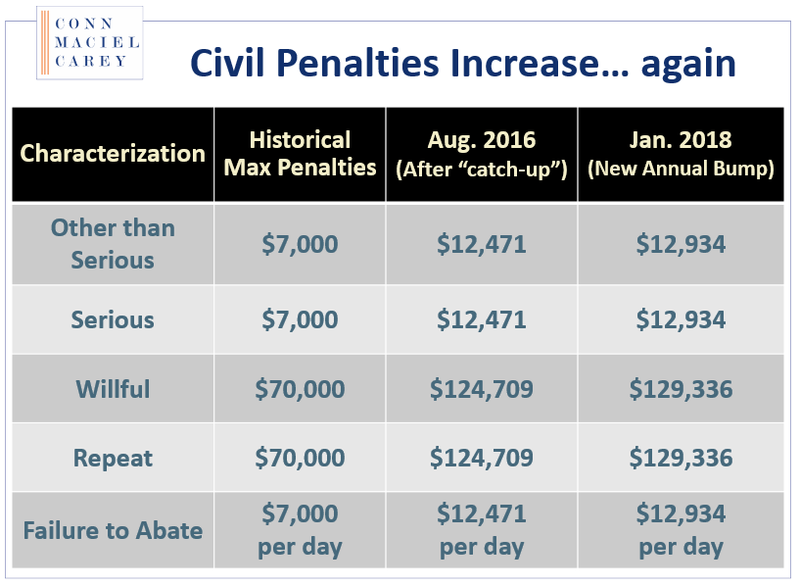 That first automatic increase was a little more than 1% – from $12,471 to $12,675 for Serious and Other-than-Serious citations, and from $124,709 to $126,749 for Repeat and Willful citations.